A tourist map must be clear, but also must contain enough information. Combining both often requires more manual adjustments than with other map types. 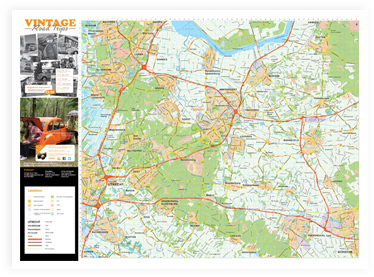 Tourist maps are usually printed in a large format as folding maps and can be included free of charge for services, or may be sold separately. 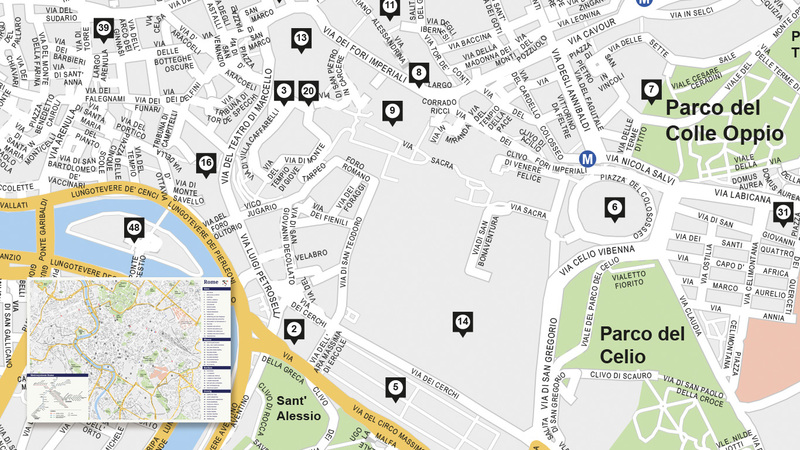 There are often POIs (Points of Interest) on a map, locations, roads, street names and many other symbols or icons. Due to the colour use and minimisation of map elements that do not necessarily have to be displayed, the result is an often more functional and more pleasant map to look at. The old saying 'less is more' really works well for a map. The fewer items are displayed, the more clear a map will become - which is vital for a map to work. 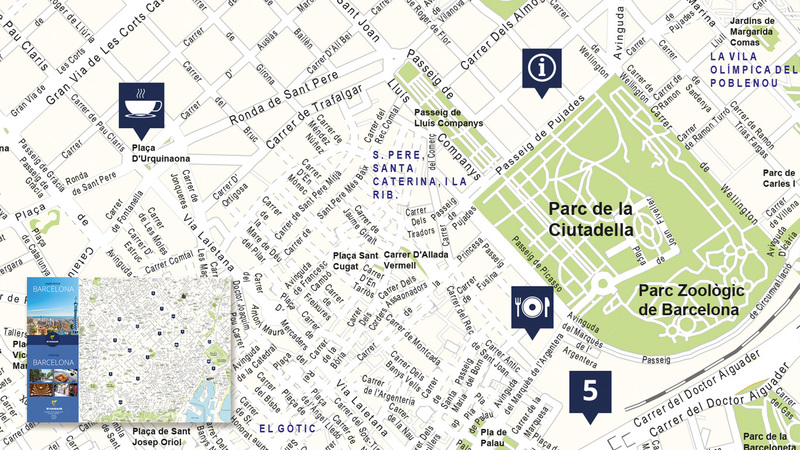 The tourist maps that we create often cover a smaller area; a region or city centre. Optionally, we can supply an extra mini map to keep the overview for the user. Many tourist maps are made possible by sponsors or advertisers. Adverts are strictly verified for possible errors and adjustments are made when necessary. We always deliver our maps ready for printing, but can also supply the printing house directly if needed. On request we’re able to fold your maps as well. Because a map is often printed in large numbers, multiple checks are carried out prior. In the final stage, the map is checked again and printed as a test before it finally goes to print. 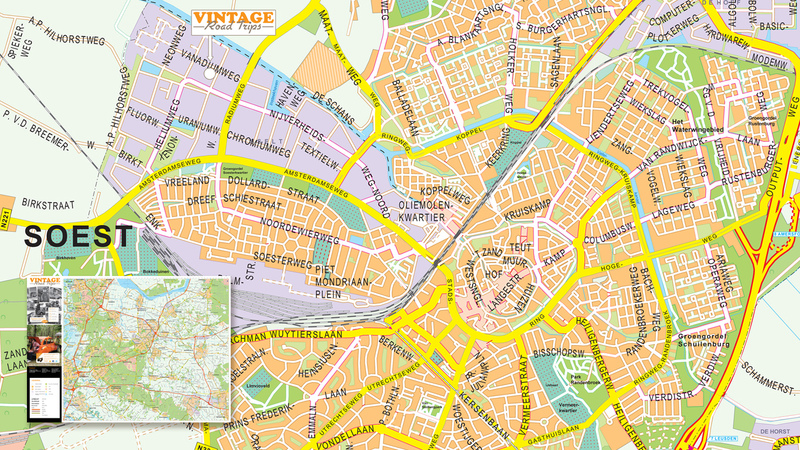 Do you want to create a tourist map or do you have an area that you would like mapped out?